Madison, Wisc. 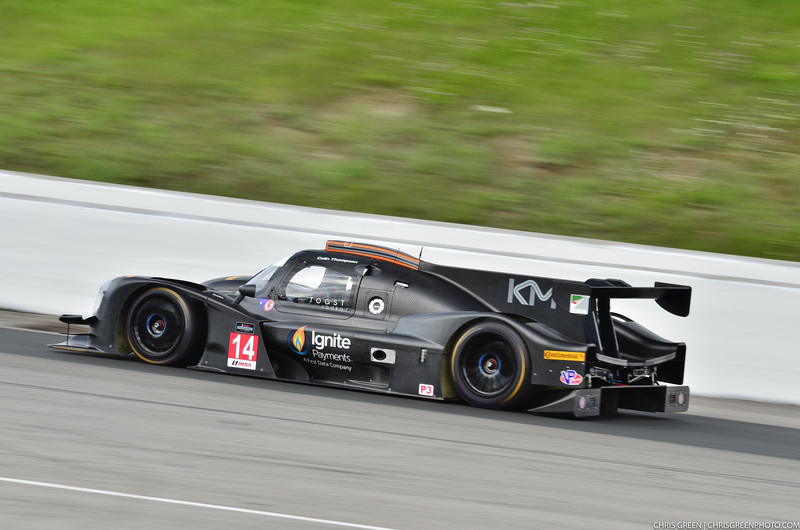 (19 July 2017) – Kelly-Moss Road and Race (KMR) will be back in IMSA competition this weekend as the IMSA Prototype Challenge presented by Mazda championship travels to Lime Rock Park. As the championship builds momentum into the second half of the season, so too does the long-running GT3 championship-winning squad which continues its first season of Prototype racing with driver Colin Thompson. Through the first eight races of the year, Thompson has claimed six podium finishes in the No. 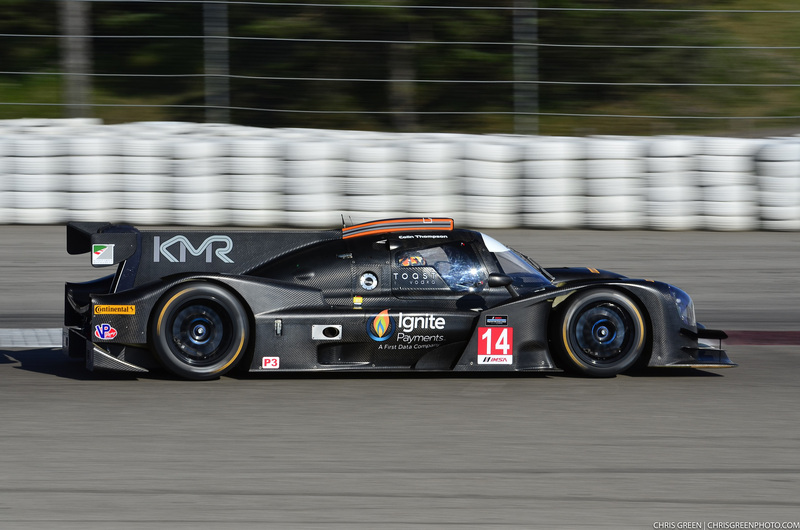 14 Ignite / Mattoni Water / Edoardo Borrelli / Ernst Kelly-Moss Road and Race Benz / Sherwin Williams / Replay XD Norma M30 for KMR – which included a victory at Watkins Glen. But those positive results have not come without an incredible effort from the KMR team. 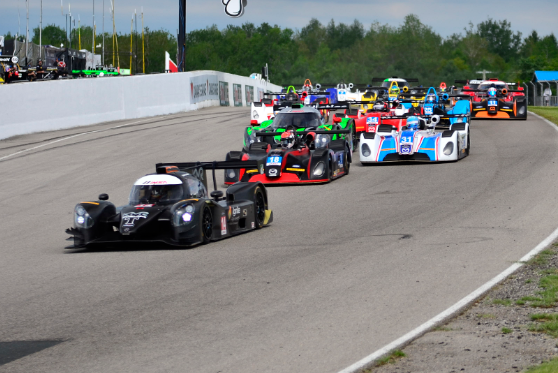 In the previous race at Canadian Tire Motorsport Park (CTMP), the ceaseless efforts of the team were on full display. Following a practice crash, the Norma M30 sustained extensive damage and the team quickly realized that they needed parts from Indianapolis to make the necessary repairs. As luck would have it, KMR was also competing in PCA Club Racing action in the Indianapolis area with an event at Putnam Park. The crew in Indianapolis scrambled from that event to secure the parts needed, and headed north toward Toronto on Friday night. At the same time, Alex Stone (KMR Assistant Competition Director) and John Thompson, Colin’s father, headed south from CTMP to meet the truck and pick up the parts in a late night exchange in Toledo, Ohio. Once back at the Canadian circuit Saturdaymorning, the car was fixed and the journey was well-worth it as Thompson drove to a runner-up finish. The team’s unrelenting attitude with a focus on success has been a key element to KMR’s winning ways. 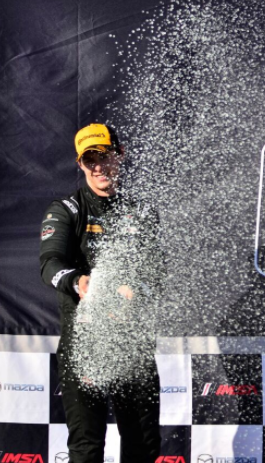 Thompson continues to lead the championship with 128 points as the organization heads to the shortest circuit on the calendar: the 1.5-mile Bull Ring of Lime Rock. The condensed two-day IMSA event at Lime Rock will see a practice day on Friday, followed by qualifying and the race on Saturday. The race can be viewed LIVE via video streaming on Saturday at 12:50 PM ET at www.imsa.tv.